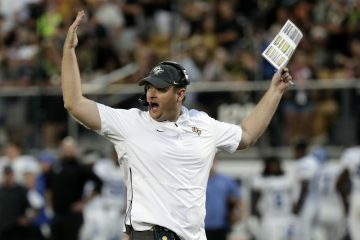 Was there ever a time that UCF’s 24-game winning streak was more in doubt than yesterday’s American Athletic Conference championship game when they faced Memphis? The Knights headed into the AAC title game without starting quarterback McKenzie Milton, who suffered a traumatic knee injury against rival USF the weekend prior. UCF turned to freshman quarterback Darriel Mack Jr. and no one was quite sure what to expect. Two early fumbles and down 24-7 heading into the second quarter, it looked as if the Knights might’ve been facing their first loss in over two years. 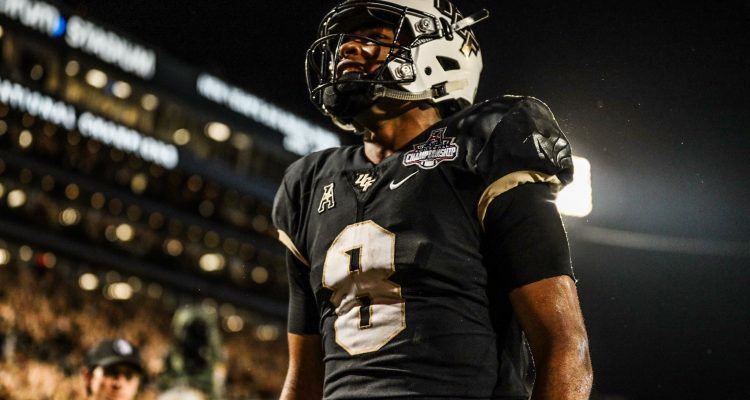 The ‘Return of the Mack’ made sure that scenario never played out, as the freshman threw for 348 yards, two touchdowns and ran for four more scores as UCF defeated Memphis 56-41 Saturday evening at Spectrum Stadium. No. 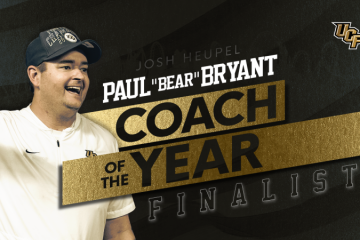 8 ranked UCF (12-0) now waits until later today when the College Football Playoff committee gathers to decide which four teams will take part in the 4-team playoff format come New Year’s Day. 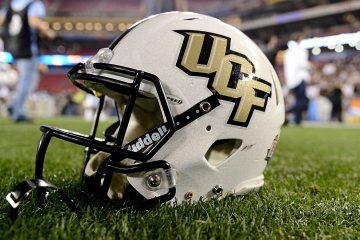 The Knights were snubbed last year and despite the program being ranked higher, it looks as if UCF could be out of the picture once again. UCF athletic director Danny White spoke on the potential outcome after the game. All the talk around Orlando on Saturday, however, was centered around UCF’s come-from-behind AAC title victory over Memphis (8-5). Mack Jr. got plenty of help from running back Greg McCrae, who rushed for over 200 yards. Wide receiver Dredrick Snelson has the best game of any Knights’ pass catcher, topping 120 yards on four catches.